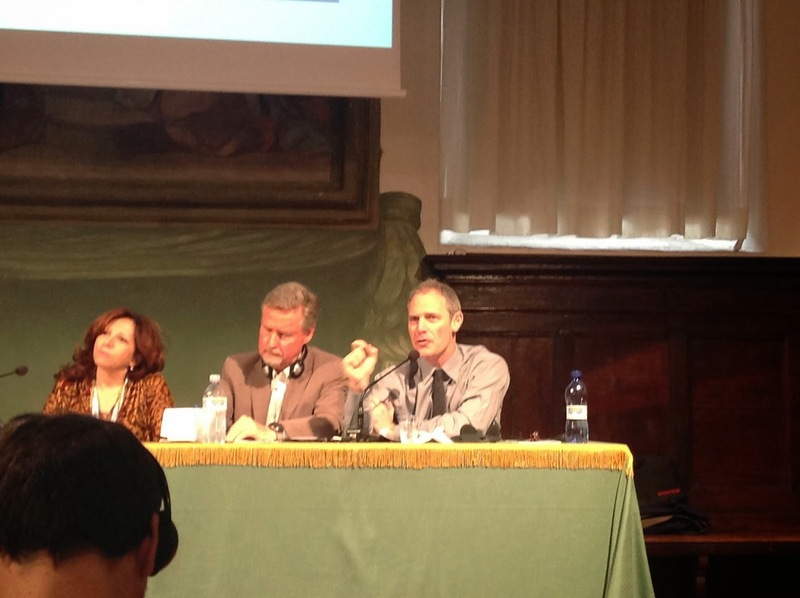 Last month, the city of Perugia in Italy hosted the International Journalism Festival. This journalism festival is considered to be one of the most important "media events" on the European scene. The five day event (from April 29 to May 4) held annually in Perugia, saw a record 60,000 people attending more than 300 events. Over 540 speakers and more than 2000 accredited journalists from all over the world came together to share their ideas, stories and experiences. For the first time, IFAD not only participated in the event, but we also organized a panel discussion entitled -'The Untold Story of Food Politics". You might ask yourself why would IFAD hold a panel discussion at an International Journalism Festival and what is the 'added value'? I hope by the time you’ve finished reading this blogpost, you’ll agree it was important to participate. Considering that food is closely related to issues such as hunger, poverty, health, environmental degradation and can be the cause of instability, now more than ever, the policies that affect food systems are of paramount importance. Ever asked yourself how the world can ensure it has enough food for a growing global population? Well, our panel moderated by Francesco Piccinini, editor of Fanpage.it, discussed precisely this important topic which drew a huge crowd resulting in a packed room and a stimulating discussion between panelists and audience who were mostly journalists. I was happy to note that out of the over 80 panel discussions, the organizers show-cased the IFAD panel in a press release. Our IFAD colleagues, Antonella Cordone, Coordinator for Indigenous and Tribal Issues, and Iain MacGillivray, Special Advisor to the President, were among the expert panelists, highlighting IFAD's perspective and elaborating on our specialized work. Antonella talked about the importance of biodiversity to ensure a food secure world, the role of indigenous peoples as environmental stewards and importance of tapping into knowledge and learning about their century-old practices. Iain talked about how investing in agriculture is key to reducing poverty. Antonella and Iain shared the panel with Sipho S. Moyo, Africa director of ONE, Frederick Kaufman, journalist and author of Bet the Farm: How Food Stopped Being, and Massimo Alberizzi, editor in chief of African-Express and foreign desk contributor for Corriere della Sera. Sipho Moyo highlighted the importance of smallholder farmers and how the ONE campaign is urging African leaders and government to fulfill the Maputo commitment of dedicating 10% of their budget to agriculture. Fred Kaufman talked about the challenges the world is faced with a growing population and diminishing resources and how this is impacting the food system, triggering unexpected interest among hedge funds, big multinationals and financial brokers. For Massimo Alberizzi, the first emergency to be dealt with is the access to food in conflict areas and also the how food is politicized in some countries. While the media is familiar with food security issues and challenges, however, often times, the depth and breadth of the work of organizations such as IFAD are not fully known or understood. 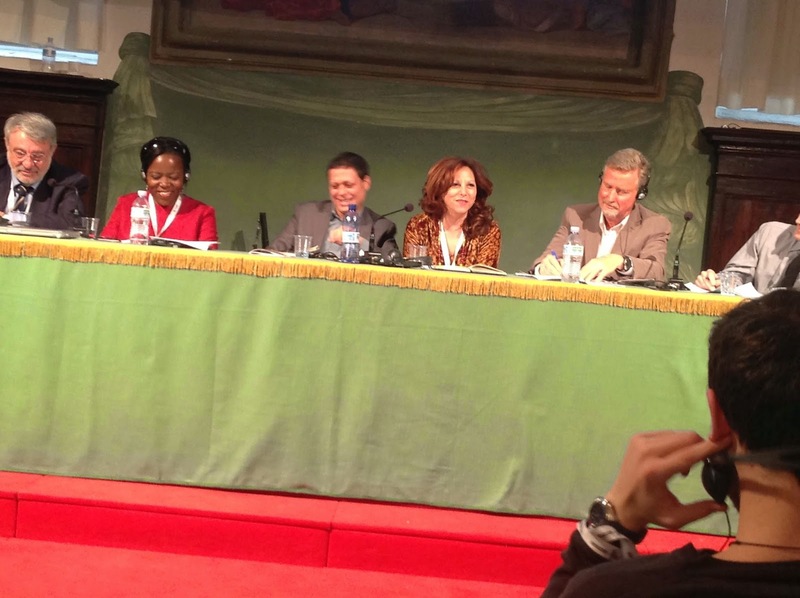 Platforms such as the Perugia International Journalism Festival help open a wider door to a broader audience and to raise awareness about the development issues which are of interest to a wider audience and constitute the core of our IFAD’s mandate and work. They offer an opportunity for participants to share experiences and insights, and more importantly learn from each other and forge partnerships. For the technophiles, the Festival also had a strong online component. The website had 140,000 unique visits in 5 days , 20,000 people watched the videos. And Twitter played a key role with more than 50,000 tweets in five days, 10,000 more than the last year. As for Facebook there were 414,000 views during the week of the event, including 6,000 "likes", comments and shares. Incredibly, all this hub of information was offered completely free to the public. Among the many informative panels, here are just a few interesting highlights from the festival. And make sure you take a minute to watch our panel on The Untold Story of Food on YouTube (IFAD's is # 65)! I hope we’ll make it to Perugia for the 2015 edition, as I believe the IJF is an excellent platform to raise awareness about development issues.